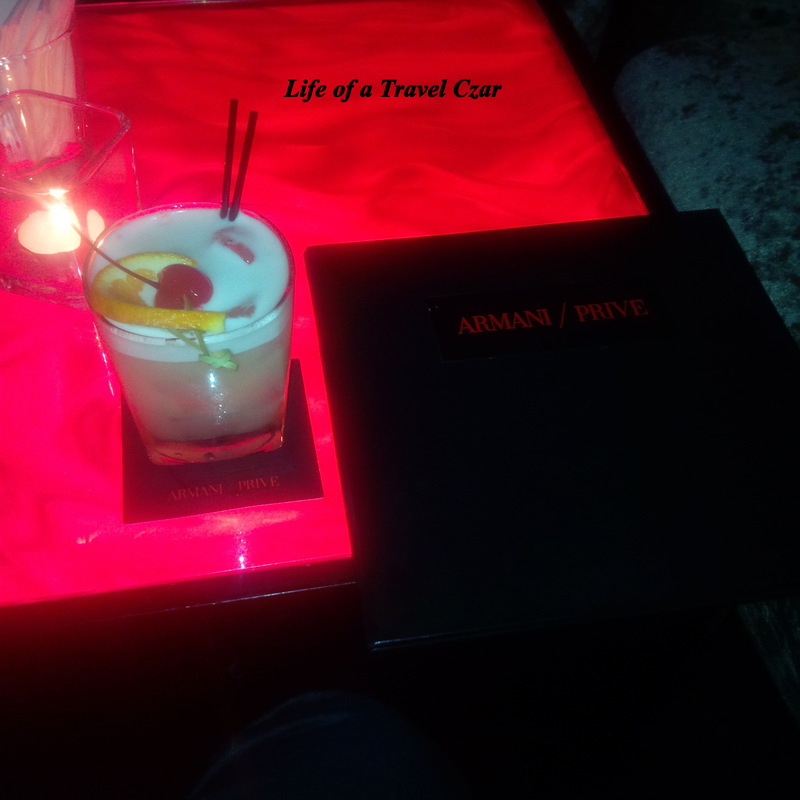 On my recent trip to Hong Kong I went to the stylish Armani/Privé Bar. 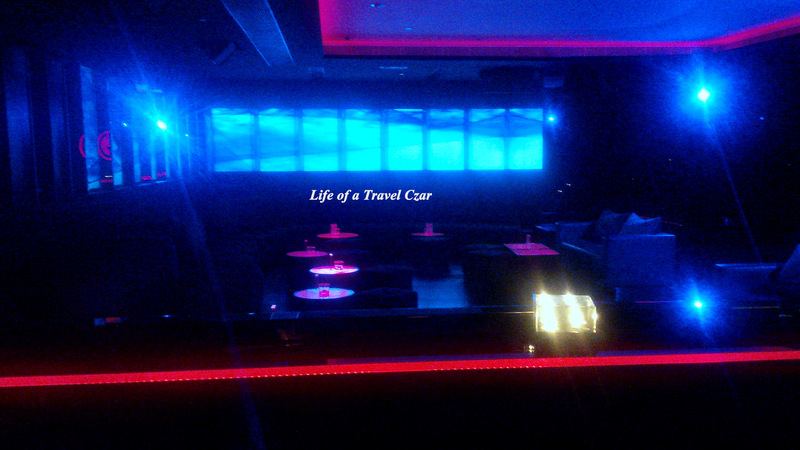 Its a dimly light lounge with the glow of the bar providing some welcome light. The bar has some wonderful food, interesting and unique cocktail list and a decent selection of wines. 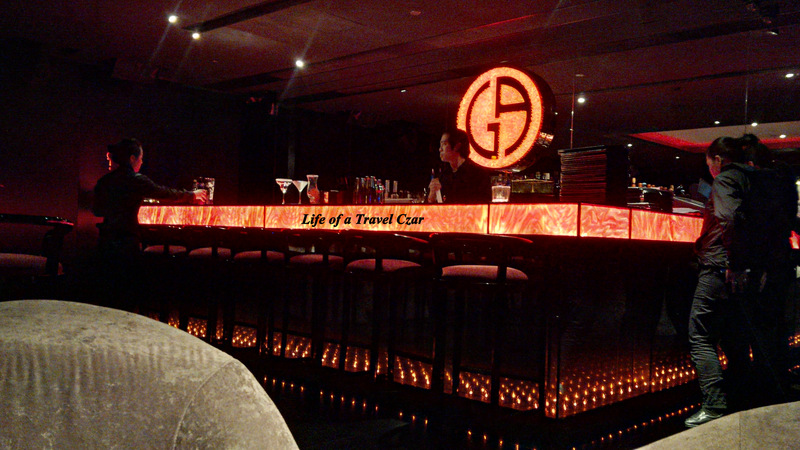 The place is stylish and I am definitely dressed the part with my Armani Jacket. I find a lovely sofa and recline with a perfect view of the bar and indeed it is the ideal spot to people watch. 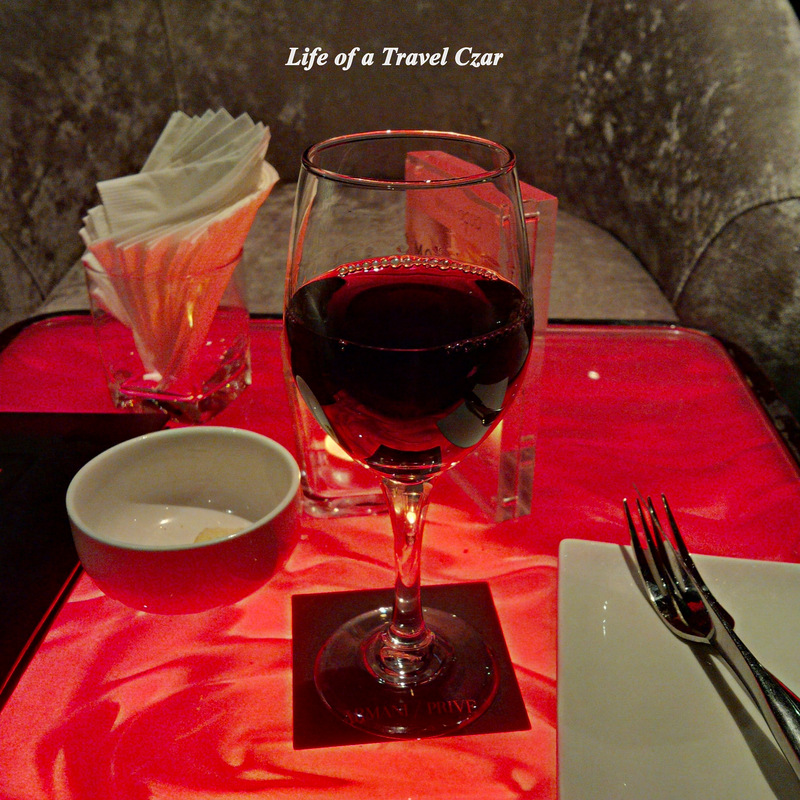 Its a lovely full bodied wine with some pretty intense notes of plums and cherries, spice and vanilla on the nose. On the palate the fruit flavours of prunes and cherry are balanced with some dry earthiness while some nicely balanced acidity and soft tannins round out the finish. Wagyu beef with foie gras and black truffle – Succulent wagyu patty with the rich buttery flavours of the beef, mixed with the rich fattiness of foie gras and the earthiness of the black truffle. I cant think of anything richer and more decadent to be honest. 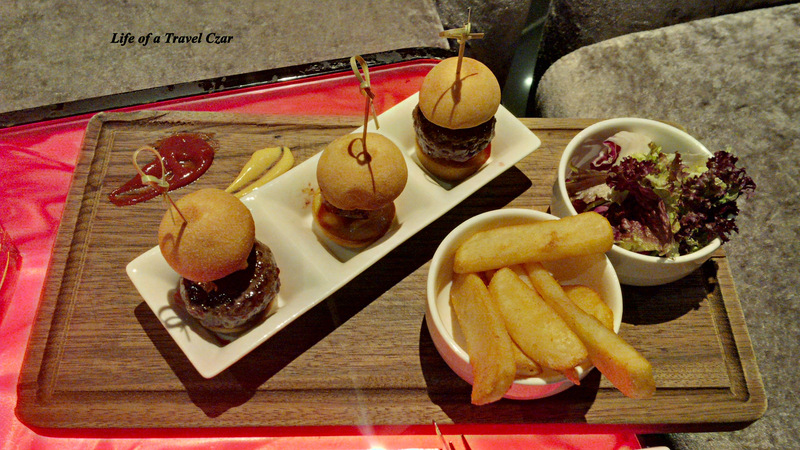 Seared King Scallop wrapped in Pancetta – The soft jelly like scallop is succulent and releases its full flavours while the pancetta releases a deep humid saltiness to the slider and there is the soft plush bun which is simply lovely and rounds it out perfectly. 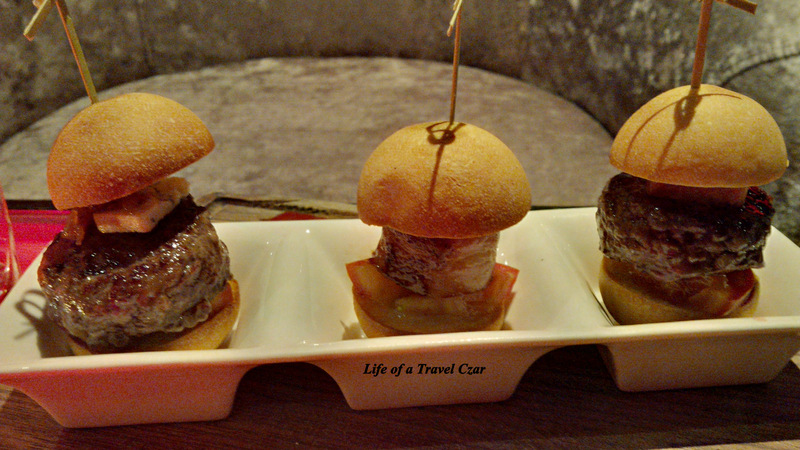 Wagyu beef with blue cheese and caramelised onion – Again you have the succulent wagyu patty with the rich buttery flavours of the beef which makes way for the rich saltiness of the blue cheese which then combined with the smoky sweet overlay of the caramelised onions. Its quite a delight and oh so rich. Its unique and very strong. Its got Bacardi Oakheart rum, Myer’s dark rum, Cointreau, Amaretto diaronno, fresh pressed grapefruit juice, fresh pineapple and raw cane sugar syrup. 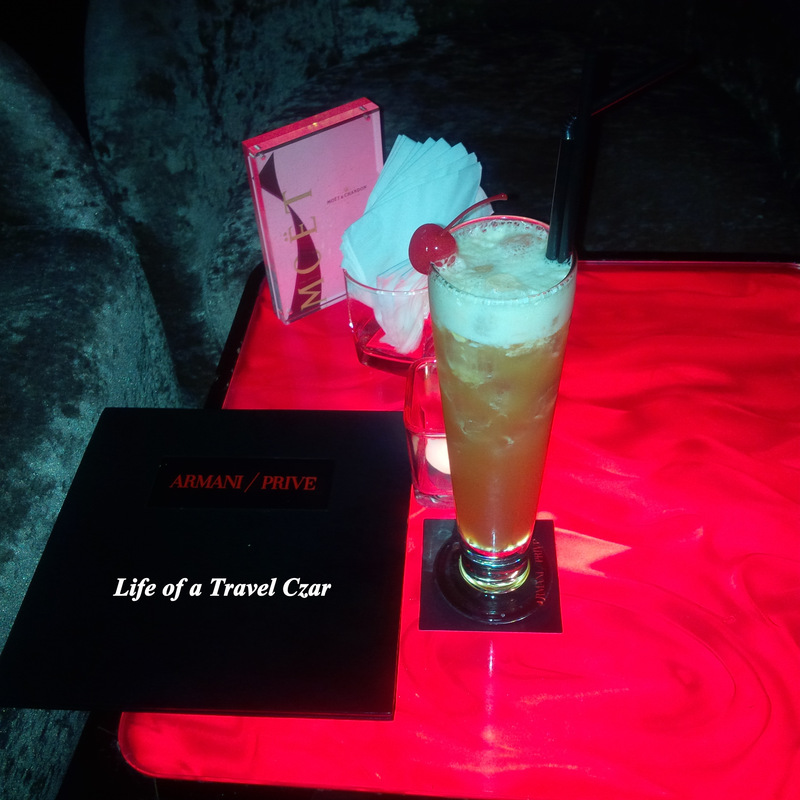 A refreshing fruity cocktail with the right level of bite from the Rum and Cointreau plus the velvety touch of the Amaretto to finish. Stylish! This cocktail is put together with some Calvados, Cherry brandy, Fabbri Amarena cherry, lemon and sugar then dry and wet shaken until silky then finished with Fee Brothers cherry bitters. Its foamy and super fruity with a light bite of the bitters to balance it out. I can’t describe how amazing it is to have a maraschino cherry at the end. Another stylish creation. I wave goodbye to this beautiful venue where style and culinary indulgence meet. The Lounge is beautiful and pity about the weather which meant the roof top was closed.